These WW1 photos capture how for soldiers of the Great War, the trenches were the site of both life and death — and an emblem of the war itself. 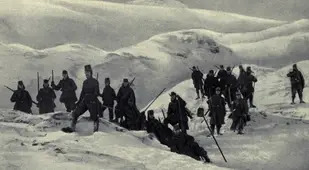 Austro-Hungarian soldiers cross the Carpathian Mountains in Eastern Europe. The so-called Royal Irish Rifles pose for a picture at the beginning of the 1916 Battle of the Somme, one of the war’s largest battles. 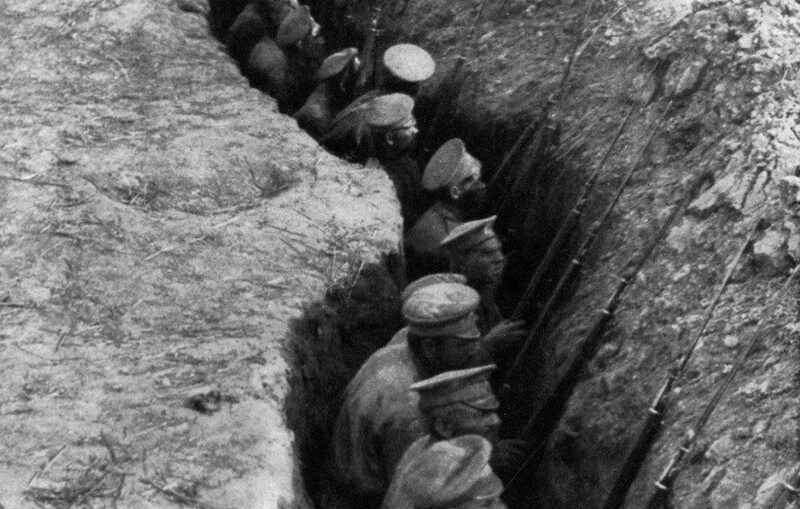 Russian soldiers hunker down in a rearguard trench, anticipating a German attack. Serbian riflemen stand ready in a hilltop trench. A film crew captures the action on the Western Front in 1917. German soldiers fight on the banks of the Aisne River in northern France. French troops fight their way through a village in northeastern France in 1916. Bulgarian soldiers take fire from the Serbians as they cross a field. Austrian soldiers climb up a cliff. Two British soldiers carry holly to cheer up their comrades during Christmas. World War I was not “the war to end all wars.” It was just the beginning of the kind of modern mass violence that would come to define the 20th century. For the first time, the armies of Europe used such tools of slaughter as the flamethrower, poison gas, the tank, and war planes. 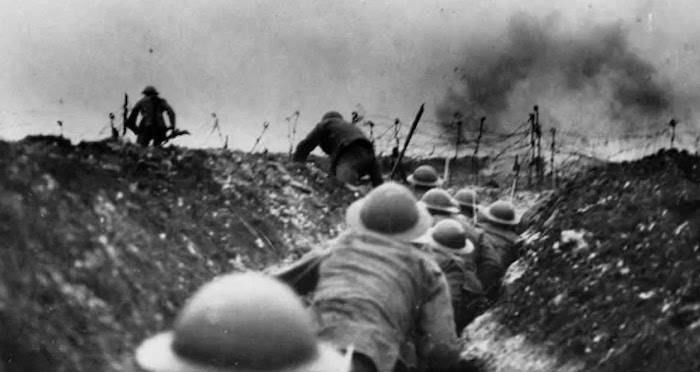 But the image that haunts more WW1 photos than any other is the trenches. 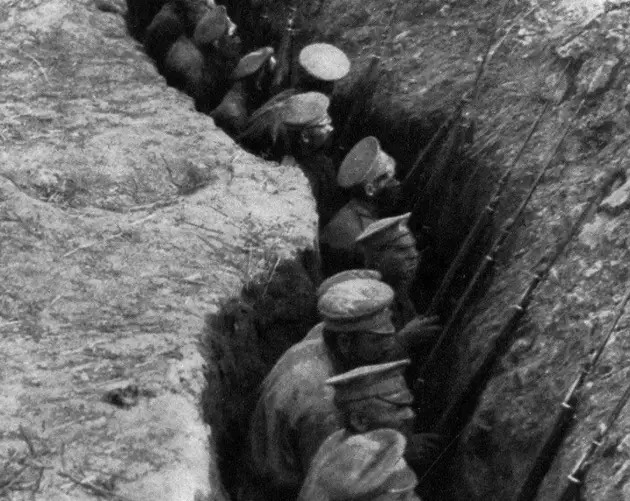 When World War I broke out, trench warfare wasn’t new. It had been around since the time of the Roman legions, when soldiers routinely dug pits around temporary camps as a defense against midnight attacks. It had been used, too, in later conflicts, including the Napoleonic Wars and the American Civil War. But by 1914, the playing field had changed. Advances in weaponry meant that rifles and artillery could now shoot farther and at a faster rate than ever before. Armor could no longer effectively prevent bullet wounds, and a single gunman, if properly shielded, could take out several charging enemies before they even reached his position. Entrenchment, then, was the obvious tactical choice at the outset of the war: soldiers would dig deep ditches at the most advanced position they could hold, then sight over the top of the embankment and fire at the enemy. The results of a frontal attack on an entrenched opponent were devastating. 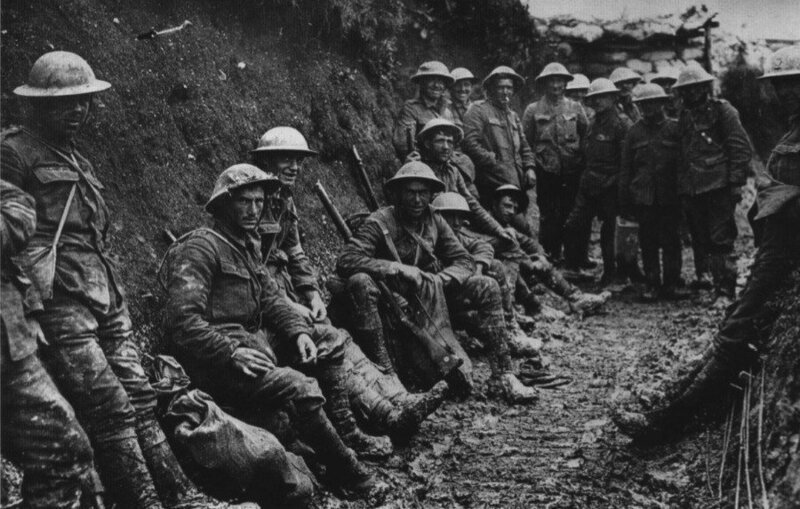 Men who went “over the top” — that is, leapt over the trench to rush enemy lines — were killed almost instantly. At the Battle of the Somme, an estimated 20,000 British soldiers lost their lives in a courageous and ultimately futile charge. The combatants of WW1 quickly realized that armies could rarely hope to attack from the front: if they wanted to make any progress, they would have to sneak around the sides of the trenches to outflank their opponent. 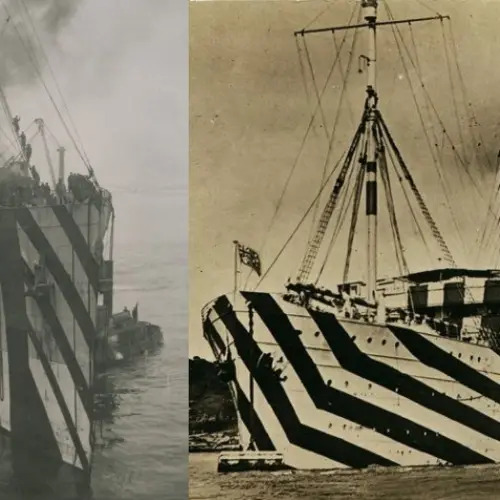 To avoid falling prey to this maneuver, the opposing army would then have to extend their trenches, digging parallel to their enemy’s line in an interminable race to the sea. The repercussions of this strategy were a bloody, paralyzing stalemate as both armies attempted to stretch until they could stretch no farther. Historians estimate that the trenches of the Western Front, laid end to end, would extend 25,000 miles from start to finish. 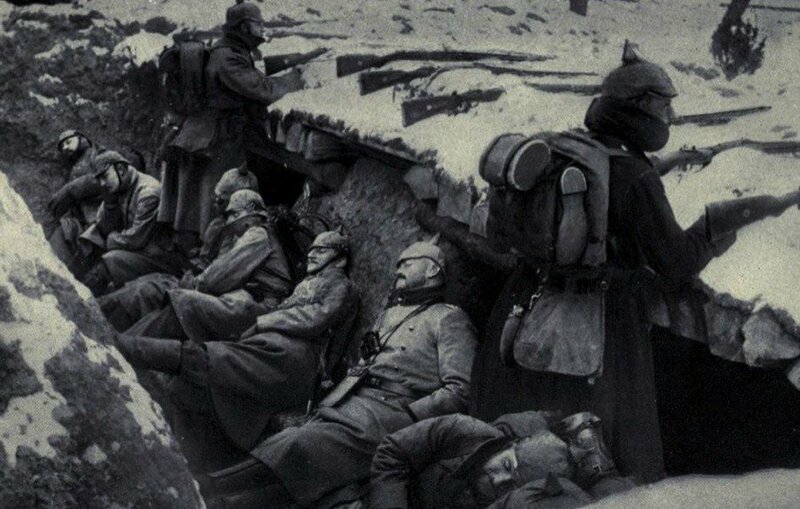 It was a war of attrition, and that’s what WW1 photos capture: a life of trenches, marching to trenches, and occasionally the briefest moments of respite. There were several different ways to dig trenches, but all of them involved the manual labor of soldiers, and all of them were dangerous. 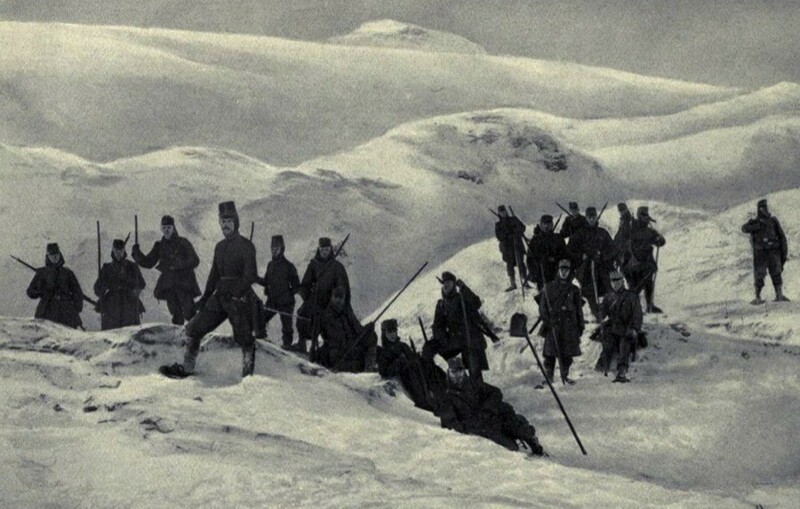 The riskiest method was also the simplest: soldiers would form a line and begin to shovel. It was slow, painful work, and it usually needed to be conducted under the cover of darkness to avoid attracting enemy attention. British military guidelines advised that with this approach, 450 men could be counted on to produce a 250-meter-long trench system in approximately six hours. And for much of those six hours, the troops would be vulnerable to enemy fire. It was safer to expand the trenches from within. This practice was called sapping, and it required soldiers to stand at the furthest reaches of the trenches and begin, foot by foot, to extend them. Only a limited number could work within the narrow recesses, which meant progress was slow. Though it protected soldiers, sapping wasn’t covert — the enemy was likely to spot the expansion and embark on an extension of their own. The safest and sneakiest approach to entrenchment was tunneling. Soldiers would hollow long tracts of earth and then, when the time was right, simply remove the overhead cover. But what they saved in blood they paid for in time lost; tunneling was the slowest way to build trenches. 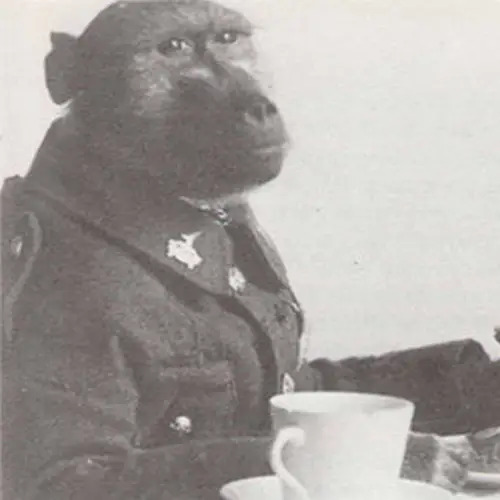 Surviving WW1 photos of the Western Front depict a kind of moonscape, a gray, barren land pockmarked with channels and burrows. Trenches weren’t, after all, neat parallel lines bisecting the Western Front. They were more like mazes. First, there were the trenches at the front, typically separated from enemy trenches by just 50 to 250 yards of open field called “no man’s land.” It was a killing field, spotted with barbed wire, landmines, and fallen soldiers killed in failed midnight raids. Next came the support trenches, where soldiers would retreat after a prolonged stay on the front lines. And then, of course, there were the passages that connected them, the new additions, and multiple levels to navigate. WW1 photos of the Somme battlefield, the site of one of the bloodiest engagements in human history, show a twisting warren of trenches that turn every few yards. In the chaos of the fighting, with mustard gas drifting overhead and the roar of gunfire all around, many soldiers reported having lost their way entirely. The photos of World War I also document the realities of trench conditions. The ditches were deeply unsanitary. Rats were always on the prowl, eating away at provisions and sleeping soldiers alike. 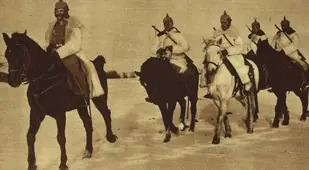 Together with the lice, they spread diseases like trench fever, a painful illness that struck suddenly and could cripple a soldier for a month or more. 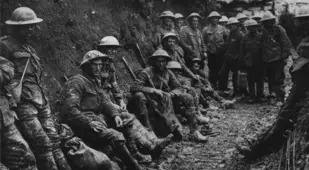 Trench foot was also a serious cause for concern; the planks laid at the bottom of the ditches weren’t always enough to keep a soldier’s feet out of the rotting mud that inevitably flooded the tunnels when it rained. Bacteria and the constant damp could lead to an infection only amputation could cure, and more than a few fingers and toes were lost to frostbite. Many died of exposure. But WW1 photos also show some rare moments of kindness, the briefest glimpses of a softer side of life at the front. An English soldier offers a wounded German prisoner a cigarette. British soldiers carry holly back to camp for Christmas. An Austrian soldier plays a violin. These, too, are part of the story of World War I — a story we must never forget. 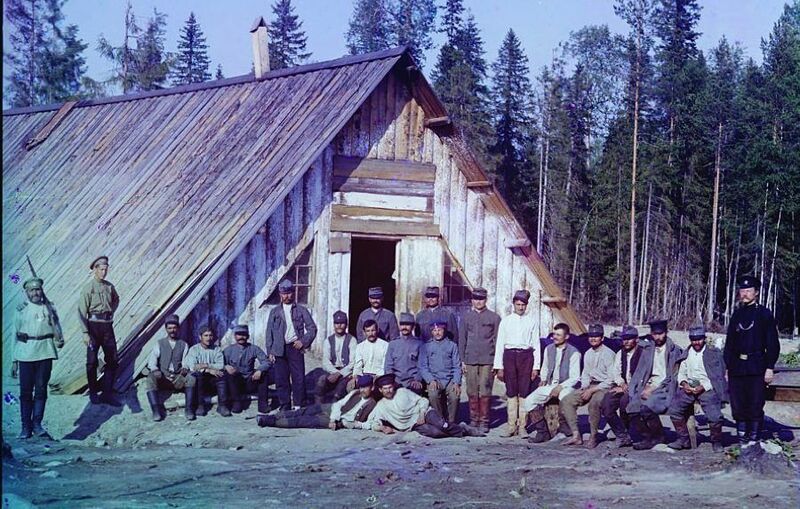 Library of CongressAustrian prisoners pose for a picture in Russia in 1915. 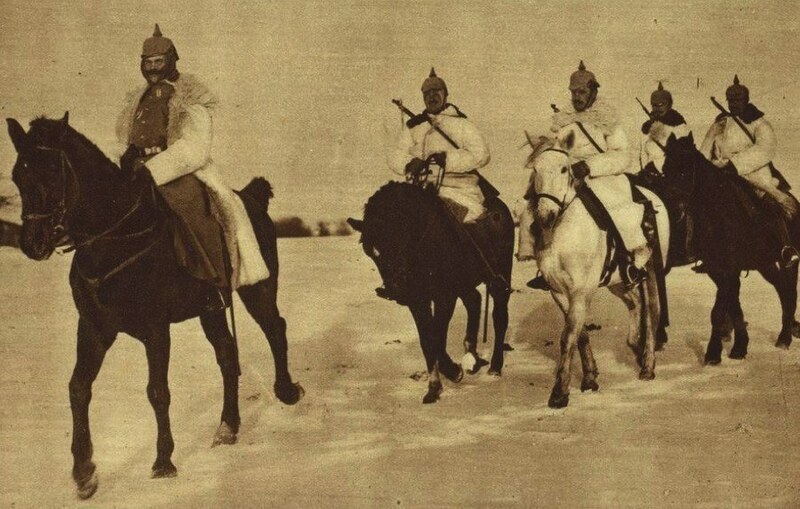 Want more images from history's greatest conflicts after you've seen these WW1 photos? 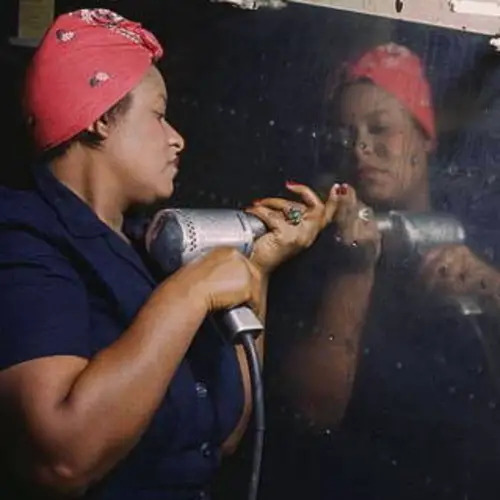 Check out 39 haunting Civil War photos, then see World War 2 in color with this rare collection of images.